Hello! As some of you might know, my birthday was last Monday and my birthday month is rapidly coming to an end so I thought I would share some of the things I did that made me really happy. The first thing I did after dropping the boys off for school was to take my morning walk. I recently started walking in the mornings. 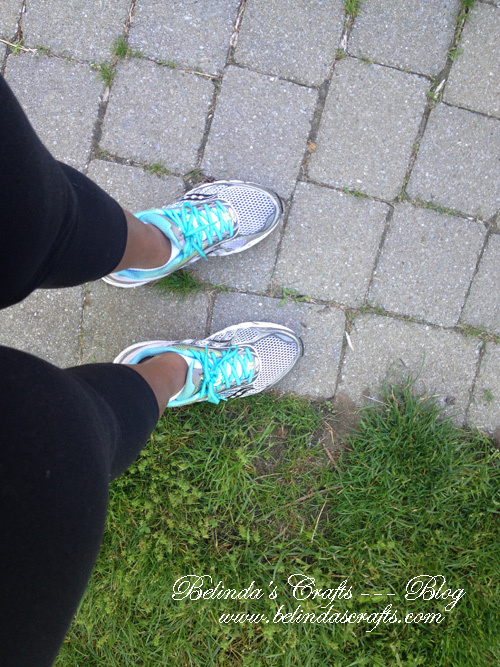 Inspired by my sister Berni, I lace up and walk my neighborhood. I really love walking the lake in Wakefield but I can’t make excuses when I walk here and it is more efficient so I can get back to work faster. 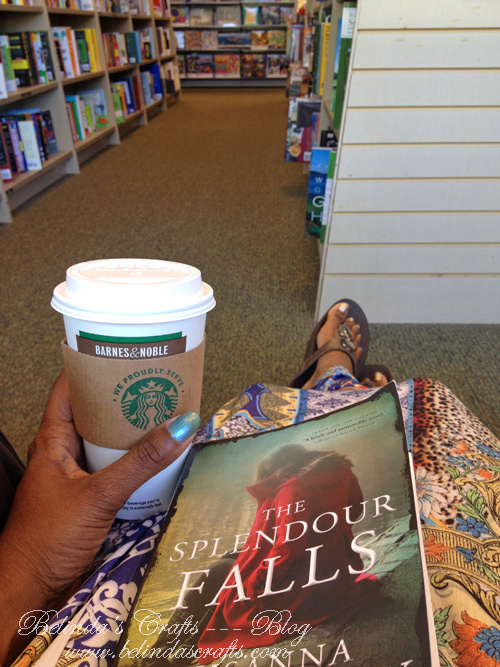 Then I went to shop for a few outfits and spent several hours in the Barnes and Noble bookstore reading and drinking my Soy Chai tea!! That had to be me favorite thing. If I have free time, that is one of the things I enjoy most is drinking tea and reading a book especially in cafes. 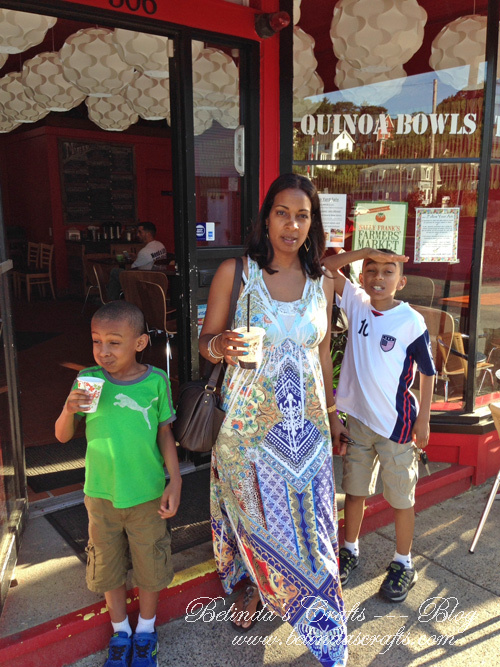 Leao came home early from work and they took me to one of my new favorite restaurants, Qchara in Melrose. 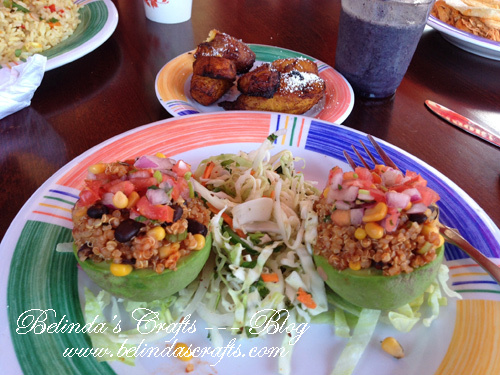 Yes, that is avocados stuffed with quinoa, corn and other goodies and fried plaintains with a yummy smoothie. It was a delicious meal. Then we headed home to relax. A perfect birthday indeed. 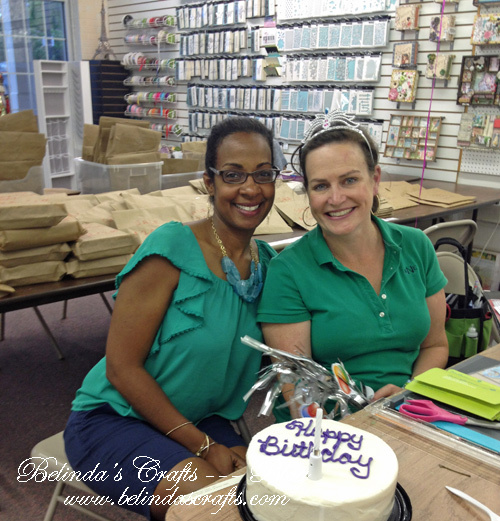 Then later in the week, I spent time with my crafty girlfriends and celebrated my birthday with my dear friend Ashley. She made me some apple sauce, yum! 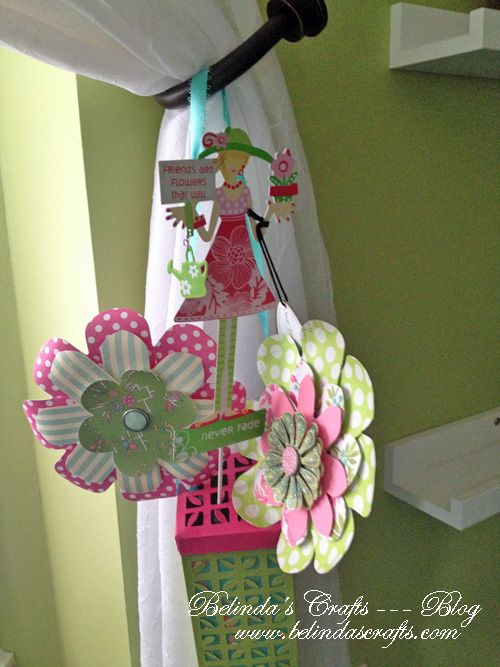 She also made this lovely box on her Cricut and used her flower punch board to make the flowers. The little garden lady in the middle is a garden decor. Isn’t this the cutest gift? I hung it up in my craft room and the garden lady, who my son Apollo has renamed her “Ashley” is now in my garden. I think I will take pictures of her in different areas of my garden throughout the summer. Looks like you are having an amazing birthday month! Have you tried the Oprah Chai yet? Is it less sweet and a little spicier than the regular chai! Yum! Yes Joan I have and I like it! I bought the complete set for mother-in-law for Mother’s day. I do say, that there is a bit of a cinnamon curve one must get used too but it is yummy!